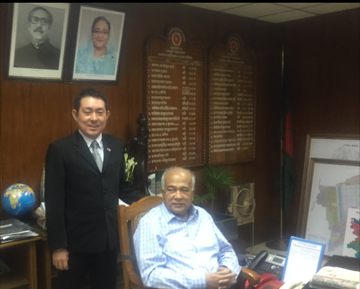 Representative Iwazawa had separate meetings with Bangladesh government <construction minister> (See photo), financial <vice-minister>, etc. Note: <> stands for the corresponding title in Japan. 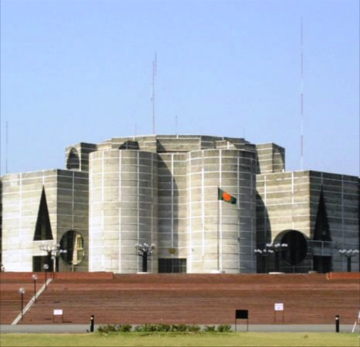 The construction minister, being relied on by and getting along for long time with the prime minister, is one of the important politician asked advices from the prime minister. 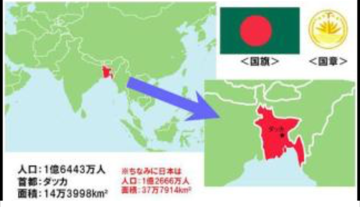 Though the contents shall remain secret, our institute was asked to start operation in Bangladesh.